This project is part of a new exciting collaborative and interdisciplinary European research program (Soap Film based Artificial Photosynthesis – SoFiA), and is supported by a European H2020-FETOPEN grant. In this project you will use advanced femtosecond spectroscopy techniques to study artificial photosynthesis in soap membrane films with photocatalytic surfaces. You will use surface sum-frequency generation (SFG) spectroscopy to elucidate the interfacial arrangement of excess protons, hydroxide, carbonate, and bicarbonate ions at the membrane surfaces. With time–resolved SFG you will study the molecular mechanism and dynamics of the photo-catalytic conversion of CO2 in the membrane system. The obtained knowledge and understanding will lead to the design of novel, more efficient soap membrane systems for artificial photosynthesis. The goal of the Ultrafast Spectroscopy group is to study the molecular-scale properties of water, ice and aqueous systems like hydrated ions, membranes and proteins. This research is carried out using spectroscopic techniques including femtosecond (nonlinear) vibrational spectroscopy, surface sum-frequency generation and GHz-THz dielectric relaxation spectroscopy. You need to meet the requirements for a doctors-degree and must have research experience in a non-Dutch academic environment. You have a successfully completed doctoral studies in experimental physical chemistry or experimental physics. You have experience in femtosecond laser spectroscopy of molecular and/or condensed phase systems. Experience with the technique of surface sum-frequency generation is a bonus. You have a strong will and attitude to collaborate with theoreticians and synthetic chemists. The position is intended as full-time (40 hours / week, 12 months / year) appointment in the service of the Netherlands Foundation of Scientific Research Institutes (NWO-I) for the duration of two years with the possibility of extension with another year. 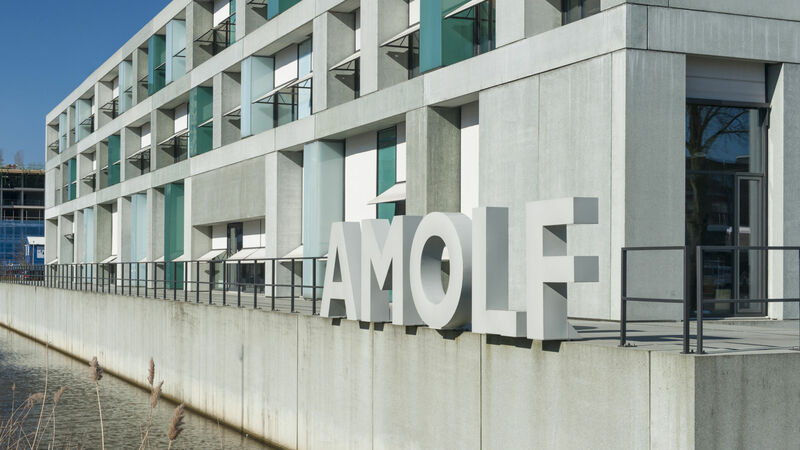 AMOLF assists new employees with housing and visa applications, and provides a compensation for transport costs and furnishing expenses. It is important to us to know why you want to join our team. This means that we will only consider your application if it entails your motivation letter.